Dr. Mathur received her doctorate from Maulana Azad Medical College in New Delhi, India. Her internship and residency were completed at the University of Colorado Health Sciences Center. Dr. Mathur worked at the Alaska Native Medical Center in Anchorage from 2003 to 2011, covering the ENT needs of the indigenous population and meeting the unique challenges of caring for patients living in remote areas. Her work included routine and complex ear cases, as well as numerous interesting ENT cases, facial fractures, head neck cancers, salivary gland diseases and deep neck infections. Dr. Mathur’s experience also includes innovative technologies like telemedicine. From 2011 to 2015 she practiced at Kaiser Permanente in Harbor City, CA where her focus was mostly adult patients, complex sinus cases and thyroid surgeries. Since April 2016 Dr. Mathur has worked on an intermittent basis with Alaska Native Medical Center and now works with SEARHC in Sitka. 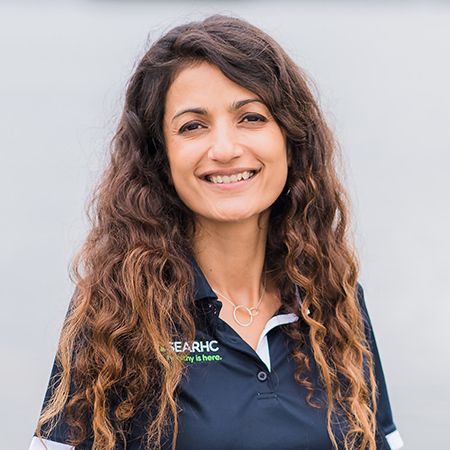 When speaking about joining SEARHC, Dr. Mathur said she fell in love with Alaska and is excited to work in the beautiful community of Sitka. Providing care to remote communities is very appealing to her. Dr. Mathur’s work related interests are pediatrics, otology and rhinology, volunteer and humanitarian medicine. She enjoys exploring and traveling with her family. Dr. Mathur and her two boys love spending time outdoors hiking, skiing, and snorkeling. Yoga helps balance her work-life and care for her body and mind. For relaxation and unwinding, she also enjoys reading a book or listening to music.